Another year, another lineup of films on the way - though I can't deny that trying to select my most anticipated films for the coming 12 months has been so much harder than ever before. Simply put, 2018 just doesn't have as many films that greatly interest me compared to previous years, so trying to select some that I was excited for was a tricky task. With no trailers and barely any official images released, Christopher Robin is a film not yet well known to many, and I have to be honest and say I myself didn't know of it's existence until very recently. Of course there's nothing to really trigger my excitement at this rate, though I find myself strangely enticed to see how this one pans out - initially this seems like another live action remake of a Disney classic, though there's an interesting twist on the story that makes it much more than that at first glance. Said twist now has Christopher Robin all grown up, with his childhood friends within the Hundred Acre Wood trying to find and help him regain his vivid imagination. Robin finds himself played by Ewan McGregor, while one Winnie the Pooh is voiced by the renowned Jim Cummings - the current voice of the character in many modern portrayals, and of course a huge contributor to many of Disney's works. Again, there's little promotional material around at this stage, but I'm still interested by this unique twist on the source material and am once again keen to see just how it turns out. An exciting creature feature that thankfully didn't take itself too seriously, Pacific Rim was certainly far from a narrative masterpiece, but also showed that blockbusters don't need to be full of excessive depth and complex themes to be an enjoyable watch - sometimes just a fun experience with some exciting set pieces and charming characters equates to something just as memorable. The film's less than remarkable box office earnings meant a sequel seemed unlikely at first, though fans can now be relieved to see one not far from release; Uprising jumps to a decade after the events of the first film, featuring a lineup of new characters as well some familiar faces and returning foes in the form of the monstrous Kaiju. 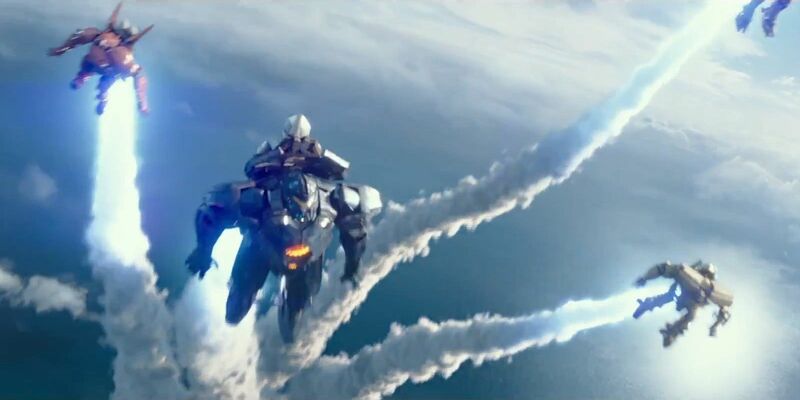 The trailers once again show that this will certainly be sporting more style than substance, but that's not a flaw providing the narrative is more than a rehash of the original; the visuals certainly look as impressive as ever, and once again look set to be brought to life through a number of thrilling action sequences. This all makes me continuously keen to check out the finished product, which thankfully isn't far from release. So soon after Disney's live action remake of The Jungle Book comes a second CGI-fuelled live action reimagining, though this time of course of Rudyard Kipling's original tale and not Disney's renowned musical. Motion capture master Andy Serkis leads the way as director and as the beloved Baloo, with an equally superb cast at his side including Christian Bale, Bennedict Cumberbatch, Tom Hollander, and Cate Blanchett. There's been little in the way of marketing yet with the release almost a year away, but I find myself highly intrigued to see more glimpses of what's to come, especially once again as it's adapted from the original story and not based on Disney's musical reimagining in any way. It'll take a lot to rival the effects of the 2016 film, but with Andy Serkis at the helm, I'm sure some impressive aesthetics are inevitable - let's hope a solid story is also. If you told fans of The Incredibles back in 2004 that they'd be waiting 14 years for a sequel, mayhem would certainly ensue; Incredibles 2 continues where the original left off, seeing the Parr family tackle a new villain known as the Underminer and then further exploring their ongoing struggles with societal pressure against them and their status as superheroes. The most we've seen of this anticipated successor is a simple teaser hinting at Jack Jack's potentially larger role, exploring his newly developed powers seen towards the end of the original film, though otherwise things are under wraps for now - likely due to change soon as it's release edges closer and closer, however. The Incredibles is not my favourite Pixar film, though it remains a winner in dozens of ways - the fact that Pixar have taken so long to get to work on this much needed sequel is a shame, but all is forgiven providing the finished film lives up to it's title. 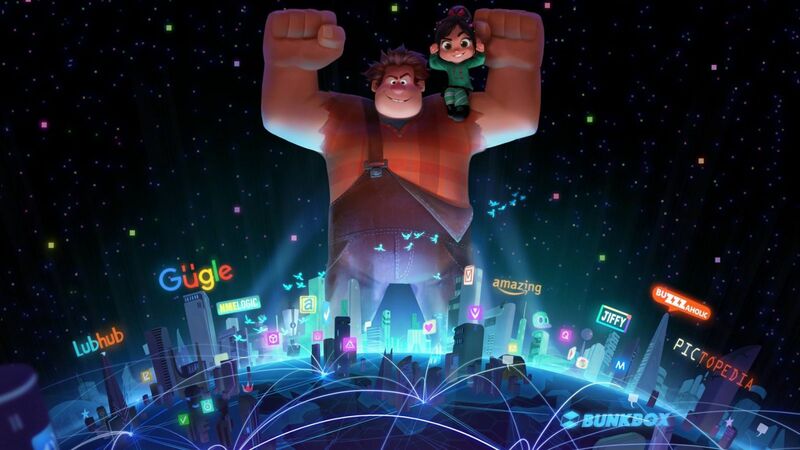 Wreck-It Ralph certainly ranks as one of Disney's best efforts for me - clever game references aside, the film finds itself a witty and surprisingly heartfelt adventure with a universal appeal, and so a sequel was always desired. 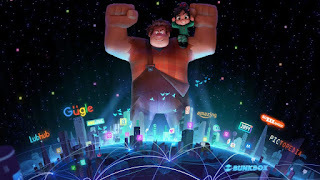 Much like other films on this list, it's hard to talk much about Wreck-It Ralph 2 when not a lot of promotional material is around at this stage, so I can only hope the upcoming trailers only improve my anticipation and that the end release itself is a sequel worthy of it's title. Well, a better title to be honest. The internet is a dangerous place though, Ralph...what we certainly don't want is a film that dismisses it's story in favour of milking the barrage of pop culture references that such a premise has the potential for. The first film found a great balance, so let's hope such a trait is passed over.